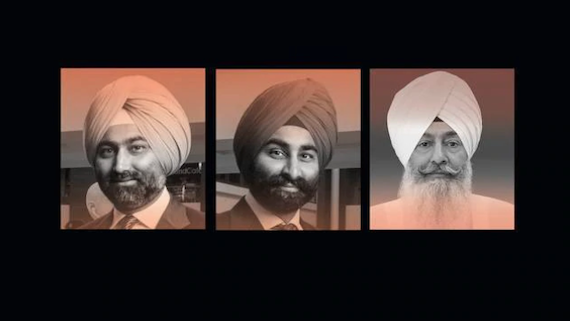 Former Fortis Healthcare promoter Malvinder Singh has filed a criminal complaint against his brother Shivinder Singh, spiritual head of the Radha Soami Satsang Gurinder Singh Dhillon and others alleging financial fraud and threats to kill him. In one of the most outspoken speeches till date, Bhai Ranjit Singh Dhadrianwale exposed those self-proclaimed godmen who have fooled the naïve people of Punjab for decades. Punjab Deputy CM and ruling Shiromani Akali Dal (Badal) president Sukhbir Badal (on March 20) reached the dera Radha Swami. Beas, Amritsar: BJP leader LK Advani is visiting Dera Radha Soami Beas to meet its head Gurinder Singh Dhillon. As per media reports the Hindutva leader arrived in Dera Beas yesterday (Oct. 17) and he is expected to stay in Dera till this (Oct. 18) afternoon. 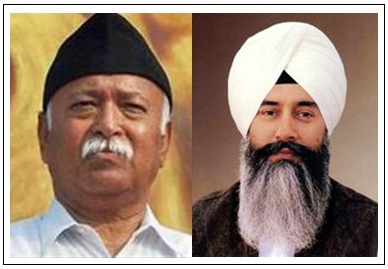 Shiromani Gurdwara Parbandhak Committee (SGPC) members from Bathinda- Mansa districts are reported to have taken notice of a meeting recently held between Rashtriya Swayam Sewak (RSS) Chief Mohan Bhagwat and Radha Swami Dera Beas head Gurinder Singh Dhillon. As per media reports Hindutva body RSS (Rashtriya Swayamsewak Sangh) has started his activities with full intensity in Punjab. 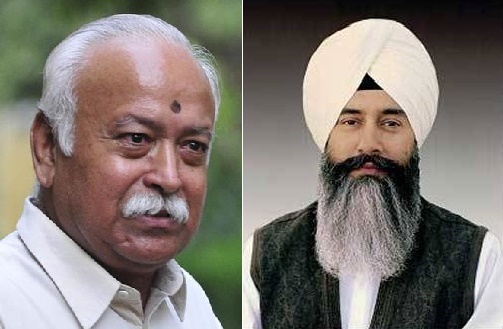 According to information available with the Sikh Siyasat News (SSN) the RSS chief, Mohan Bhagwat, on May 30 held a closed-door meeting with Dera Beas head Gurinder Singh Dhillon at Narain Sarvhitkari Mandir School in Mansa. 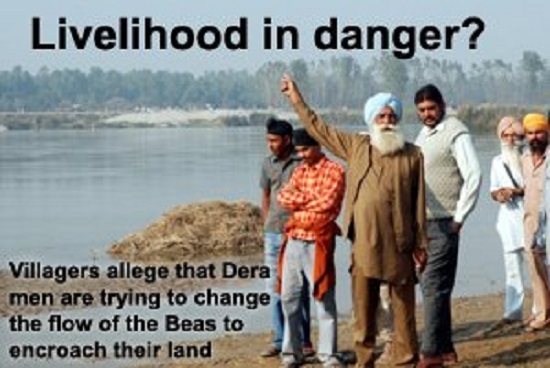 Chandigarh/ Jalandhar, Punjab (March 01, 2014): Another controversy related to Beas based dera Radha Swami has surfaced. The dera had previously been in controversy for demolishing a Sikh Gurdwara Sahib to secure expansion of dera land. 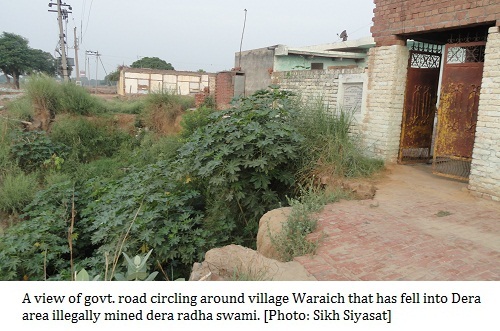 Rayya/Beas, Punjab (October 25, 2012): According to media reports representatives of Sikh organizations and Dera Radha Swami administrators are deliberating to find an acceptable solution to the issue of demolition of Gurudwara Sahib of Village Waraich. "Rashtriya Swayam Sewak Sangh (RSS) chief Mohan Bhagwat specially came to Punjab to have a meeting with Baba Gurinder Singh Dhillon, the head of Radha Soami sect at the sect headquarters located at Beas. Though nobody came forward to confirm the same but probably it was the first meeting of any RSS Chief with any of the heads of Dera Radha Soami.